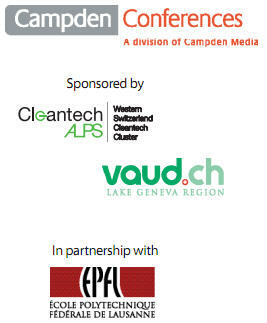 Present your company to our audience of investors at our 2nd Clean Tech Investing Seminar on 7 – 8 December 2011 at Beaulieu Exploitation SA, Lausanne, Switzerland. If you are looking for investment and/or partnerships, don’t miss the only event with the audience of ultra high net with private investors, family offices, angel investors, VC’s and corporate investors. The event will provide significant networking opportunities where relationships are forged and deals are made at pre-arranged 1-2-1 meetings. The objective of The CleanTech Investing Seminar is to foster investment partnering in this high profile sector, providing innovators with a platform to showcase their products to an audience of investors, and offering the opportunity for one-to-one meetings between investors and innovators to discuss potential interest and new business opportunities in clean technology. During two days it offers attendees the opportunity to hear keynote presentations by some of the industry’s most influential speakers and participate in roundtable discussions that address the major issues facing the cleantech industry today (like wind industry, solar energy industry, biomass, etc). Although the focus is mainly Europe, we also expect attendees from the USA and Far East. 100 word abstract company profile and contact information in the conference book and on conference website. As well as this you will also be invited to join a number of plenary sessions with keynote speakers as well as attend our roundtable discussion groups with investors and innovators alike. To have more info, simply email maxgarry@campden.com or call me on: 0044 (0) 207 214 0673 and I will be happy to help.